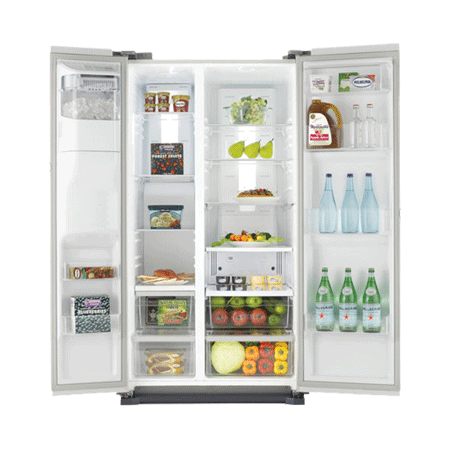 The RS7667FHCWW offers over 360 litres of cool storage for your fresh foods, with five safety glass shelves and two salad crispers that keep your fruit and vegetables at their best for longer. The lighting runs down the back of the compartment, helping to provide maximum storage space. It also emits less heat than conventional bulbs, so your fridge doesnt need to work as hard to return to the optimum temperature. 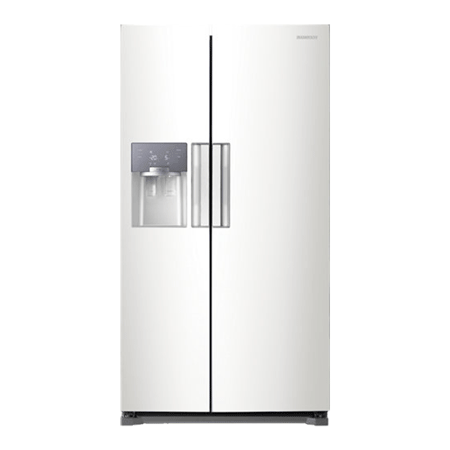 The Easy Handle is inset into the door of this fridge freezer, which means it not only looks great, but also remains practical. Its easy to open, so youll waste no effort getting to your food.